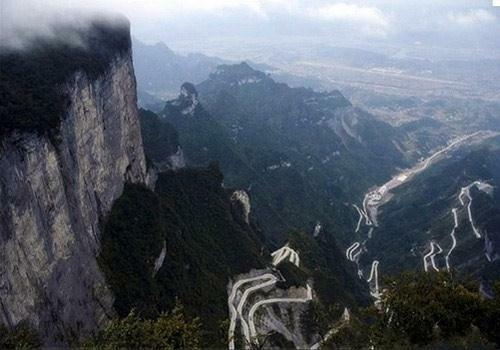 On the planet there are enough places where the most terrible thing to go by car. 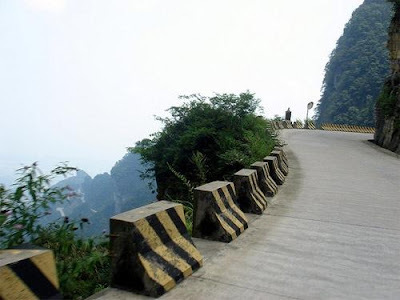 But if some of the road is really dangerous and fraught with accidents, the other - just for fun. 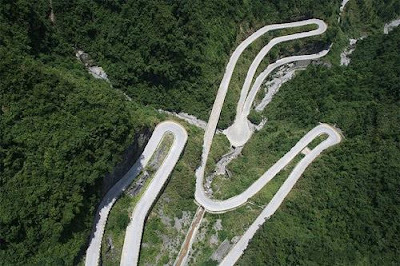 Lovers of tickle nervishki in our time can safely go for a nice illusion of risk in China, where in 1998 - 2006 years (and this strike rate) was constructed and run-in the most mountainous hitrozakruchennaya serpentine highway in the world. 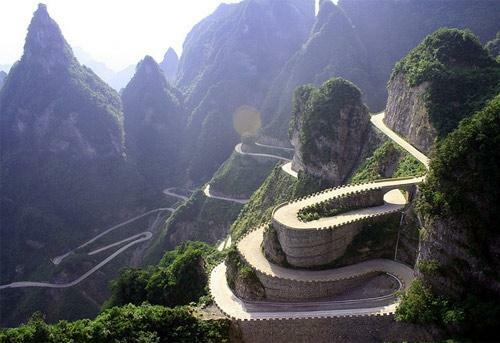 The route is officially called "The Road to the gates of the Great", unofficially - "Prospect to Heaven." 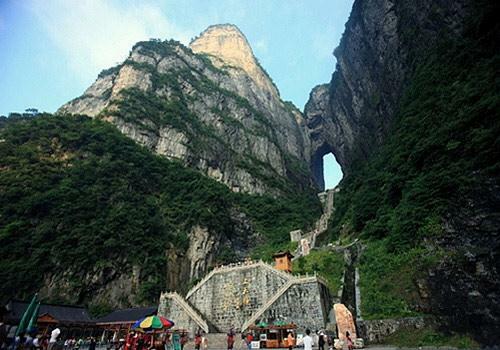 It is located in a mountainous area of ​​the protected Tyanmenshan Hunan province - the same one where nearly two thousand years ago, invented the paper. 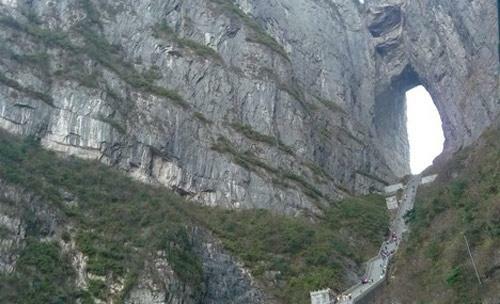 It is very beautiful, but really scary, considering that "heavenly path" starts at an altitude of 200 meters and finish at the dizzying 1300 meters above sea level, on top of a mountain Tyanmen. 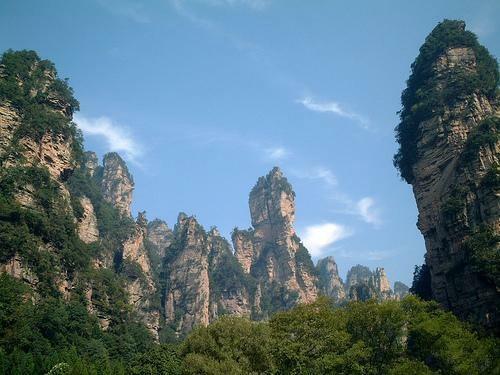 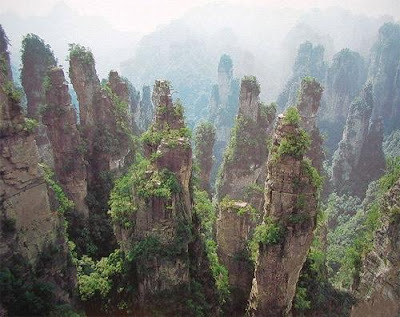 In essence, this attraction "Chinese Hill" only to tourists, as well as ambitious, the newlyweds, who flood the town of Zhangjiajie and the surrounding villages in search of exotic alien beauties, of which a national park, the local abound, and which give the illusion of being inside story of the film "Avatar." In the real, life-form "three de." 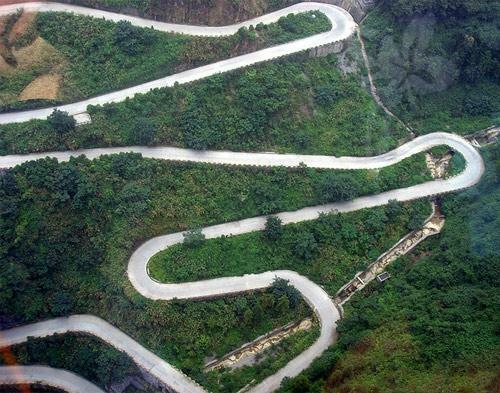 The length of the "heavenly path" - only 10 kilometers, but on the way to the top of the road makes sharp turns 99. 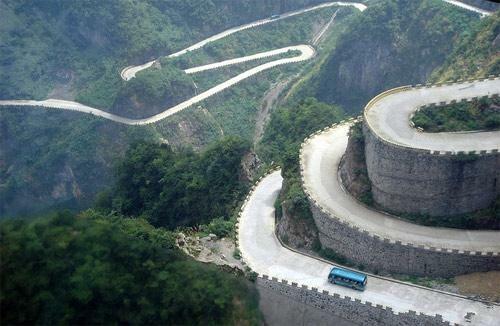 This number is considered lucky in China. 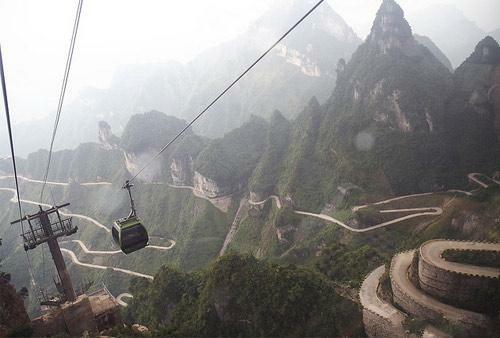 Those who are afraid of the "lucky" bends, has a cable car, the longest in the world (7.5 miles leisurely ascent or descent). 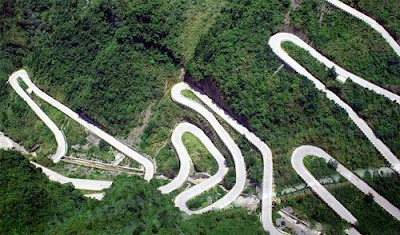 Alternative is that - in the style of "out of the frying pan into the fire."